It was a beautiful evening in suburban Phoenix that July in 2008 when my American Dream died. My husband and I were outside enjoying our backyard pool. The only sounds were the quiet of sleeping children coming from the monitors on the patio, and music from the outside speakers. I was savoring my wine on the pool steps. He was telling me about his day at work as a civil engineer. Then he said, "I'm going to run out of work to do by December at this rate." I'll remember that sentence forever. My mind screamed, "Start looking for a new job, NOW!" There had already been two rounds of layoffs. I stifled the little voice, knowing this man I had loved for two decades would provide for our family. We decided that I would stay home with our children, neither of us wanting to leave them with strangers making minimum wage just for a few extra dollars per month. We moved to the Phoenix area in 2006 to build a better life. From his many job offers John carefully selected a century old national firm with amazing benefits. It all seemed so perfect. His salary doubled, we purchased a beautiful home well within our means and I was able to comfortably care for our daughter without a second income. Within a year we had our son and our family was beautifully complete. That July, he was just past his first birthday, and I was just past shedding the baby weight. I was getting my groove back. I found a great gym and went regularly. I felt and looked better than I had in decades. I loved being able to afford a healthy lifestyle. I was looking forward to sharing the opportunities a metropolitan area offers with my children as they grew. Yet there was the man I loved, in the swimming pool I had fantasized having in my own yard for 30 years, telling me in so many words it would all end. True to his prediction, he ran out of work by December. Technically he was employed, but there was no paycheck because he was paid by billable hour. The housing bubble was bursting, and the number one industry in Phoenix died almost overnight. Development stopped faster than the housing market plummeted. Barely two years after moving our home had lost over 50% of the value it had when we purchased it. It was the same story all over the valley. There were empty houses with foreclosure signs everywhere. Weeds were growing unkempt in the professionally landscaped rock yards, pools were fragrant with neglect. In February John was officially laid off. We could finally claim $225 per week in unemployment to help us survive. John expanded his job search and contacted everyone he knew all over the country. Engineering firms weren't hiring anywhere. We soon came to the realization we were going to lose our home, everything we had spent twenty years building, and there was nothing we could do about it. We could both try to find one of the rapidly disappearing minimum wage jobs, but if both of us worked full time for $8/hr we couldn't even cover daycare and our mortgage. The 20 percent we put down on our home was gone. Our credit cards were no longer being paid off every month. We were unable to pay the mortgage that was far less than one of John's paychecks, and we had too many assets to qualify for food stamps despite a zero income. He had graduated top in his professional field, had over a decade of experience, and was respected by coworkers. Because of this he eventually found a job where we had lived before we moved to Arizona. His income dropped dramatically and our savings had disappeared during six months of no income. 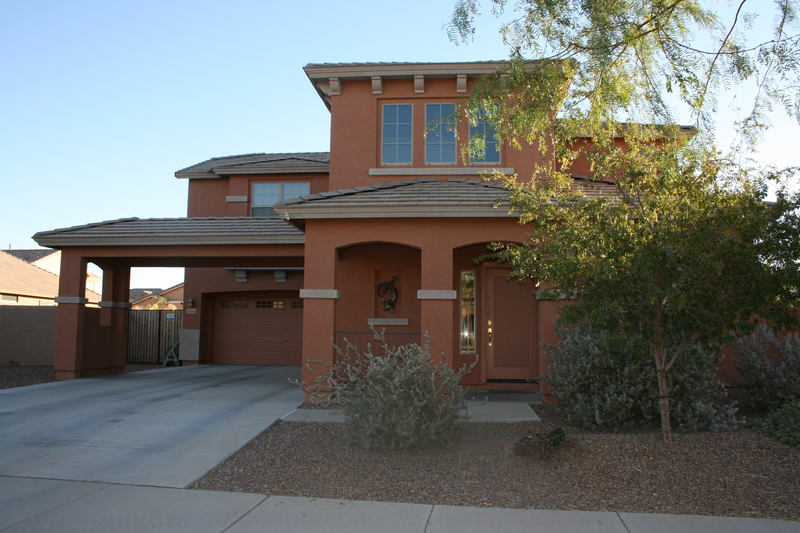 We could not even afford the home we had sold before we moved to Arizona. In 2009, the Midwest hadn't felt the effects of the collapsing economy which had just obliterated our world. I found the mindset of many people in Kansas seemed to be that we probably had a 'funny' mortgage and lived in a house we couldn't really afford. The poorly concealed expressions of judgment on the faces of family and friends fueled my incredible anger for our situation. I was incensed to be back here and was disheartened it was our only option to survive financially. The pictures on the news of faraway neighborhoods full of "Foreclosure" signs were all fiction here. Looking for a home was a different experience back in Kansas in 2009 than it was three years prior in Arizona. Despite refusing all the interest only loans and the million dollar homes mortgage brokers threw at us, despite doing what we were taught was right by putting 20 percent down and asking for a fixed 30-year mortgage, we were now in our 40s and starting over with nothing. Thanks to the assistance of family we found an older home in need of extensive updating. We've spent the last five years doing that. John worked two jobs for awhile, until he was laid off from his part-time position. I spent three years working part-time at less than $10/hr, sacrificing family time on weekends and many evenings, to pay bills and exist. I've been looking for a full time position for over three years without success. Five years later I still cry. I cry for our hard work which benefits only the banking industry and the super-rich. I cry because the government bailed out the banks who call us irresponsible. I cry for the loss of the lifestyle I created and had ripped from me. I cry for my husband who did everything right and still thinks he failed. I cry because we work four times harder for half the income and will never catch up again. I cry for my children who have never been on a real vacation. I cry because my American Dream died. Carla's story is part of a Huffington Post series profiling Americans who work hard and yet still struggle to make ends meet. Learn more about other individuals' experiences here.